I am late to join the party, but I still want to participate! I guess we’ll consider it a flash giveaway! Thank you Sew Mama Sew for uniting all of us together for this fun event! 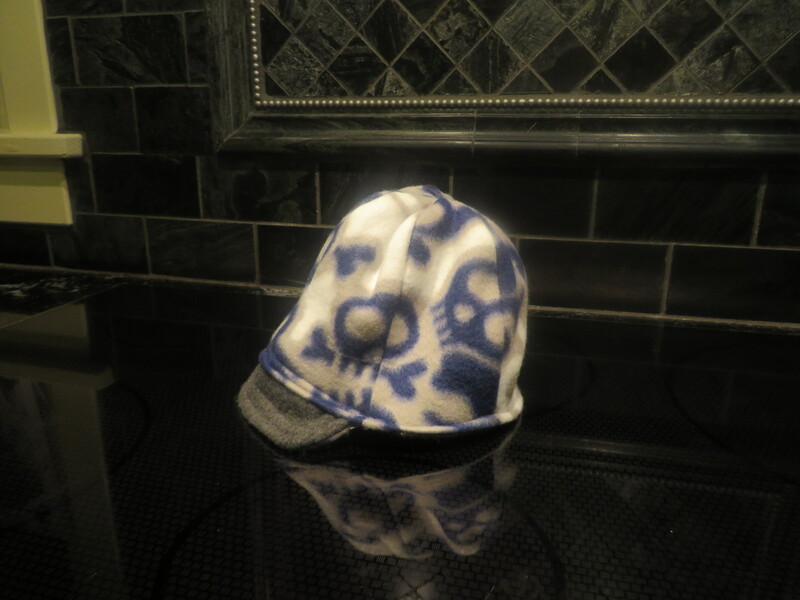 SewOldSchool is giving away a handmade double-layer fleece hat with a brim. I will also ship the pattern to make the same hat! These are fun and quick to sew. And, if you’re meticulous, they can be reversible, too! Like I said, I’m late to the giveaway, so I’ll make it short and sweet. Surprise! Edited to add that I am also including this Anna from Frozen fleece hat as well! Keep it for yourself or gift it to a Frozen fanatic! Both hats are youth sizes that will most likely fit from around 2 to 6 years of age. Giveaway ends tomorrow, 12/12/2014 at 5:00 p.m. Eastern time. Item will be shipped Tuesday, 12/16/2014. Thanks for stopping by and, of course, good luck! Head over to http://sewmamasew.com/ to enter more great giveaways from other crafters! I would like to see a tutorial on making fleece mittens. 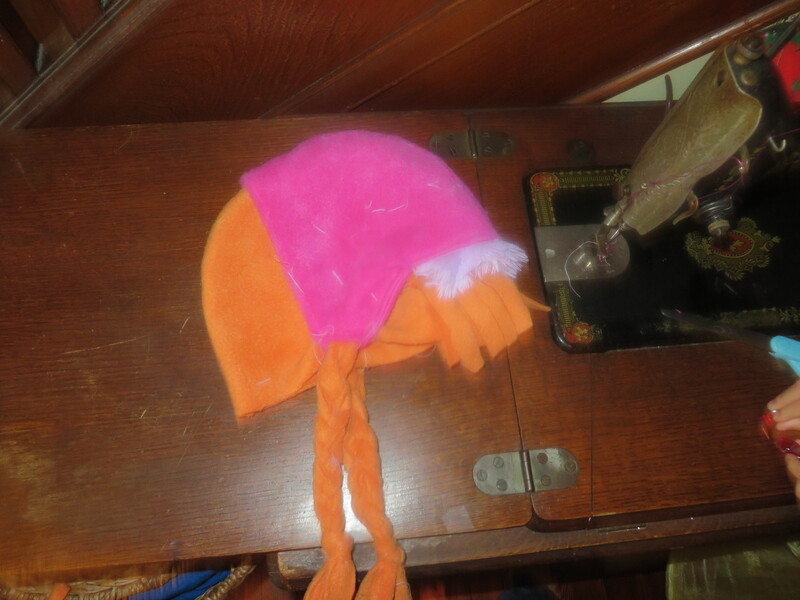 Cute hat, I have a five-year-old boy that would enjoy it. I couldn’t tell the size but hopefully it will work. Thanks! I am glad you are doing good! Sure miss you all! Yous ever in Portland Holla I am in Vancouver Wa now. I think this hat would look soooo good on me…….. I know just the great niece and nephew who would love these hats. My niece insisted on wearing her “princess” dress to school for school (preschool) pictures — not because she wanted to be a princess, but because it was the “prettiest” thing she had. Darling hats! I wish it would fit me, but I have nieces and nephews that would love them! I would tutorials for quick, easy projects (scarves, easy bags, pincushions). I love your hats! My Grandkids would love them! Granddaughter is nuts over frozen so what a great way to get her to wear a hat! I will be a new follower! Comlisajohnson(at)gmail(dot)com I liked you on facebook and following you by wordpress! I think you tutorial you think up are best. Think what can you make with fleece. Coming back later myself for the hat tutorials! We would love both hats! Thanks for the chance.